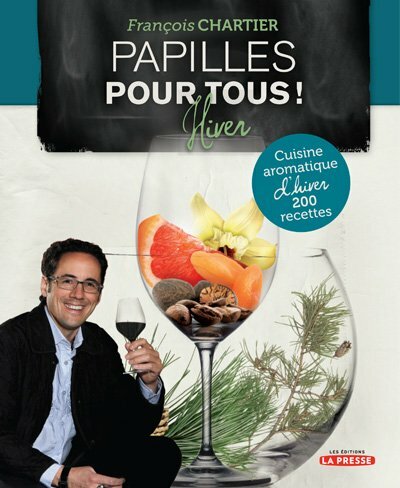 François Chartier has published over 24 books since 1996, his most recent being Le Chartier “500 wines to buy with your eyes closed” (October 2012) and the four-book collection of 800 recipes and wine and food harmonies Papilles pour tous! 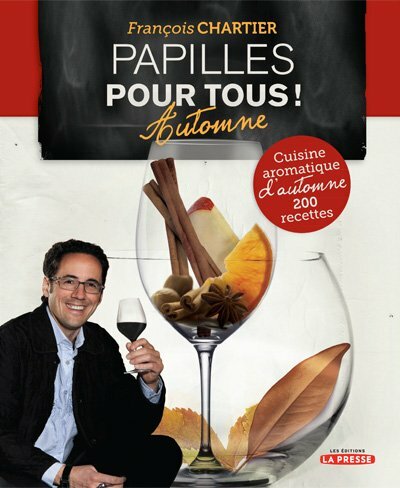 Cuisine aromatique Fall/Winter/Spring/Summer (between September 2011 and may 2012). 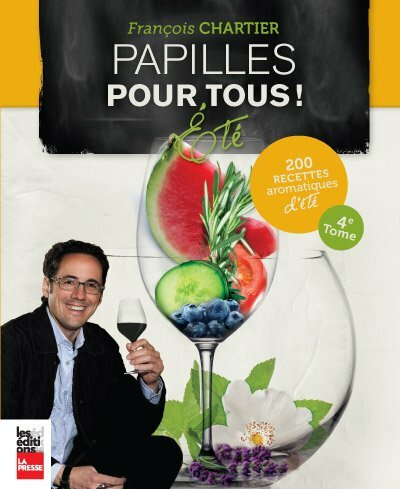 Several of his books have won international awards, including the Collection Papilles pour Tous! 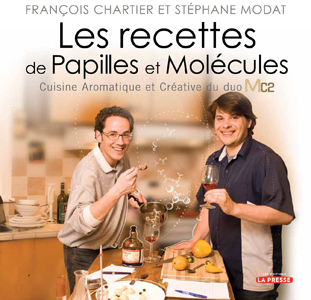 (Best Wine and Food Harmonies Books in the World at the Paris Gourmand World CookBook Awards in 2013) as well as Papilles et Molécules “La Science Aromatique des Aliments et des Vins” (Best Innovative Cookbook in the World at the Paris World CookBook Awards 2010), as well as À Table avec François Chartier (Best French Book on Food and Wine Harmony at the Madrid Gourmand World Cookbook Awards in 2005). 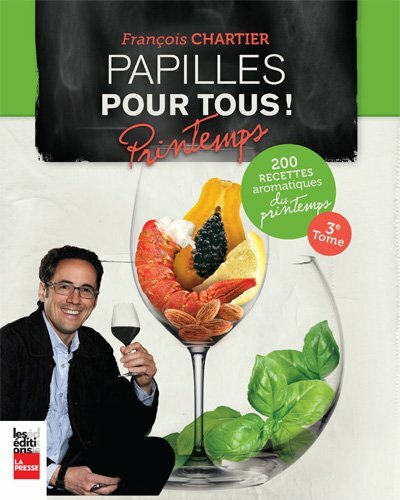 Moreover, the foreign rights for Papilles et Molécules have been sold in English Canada and in the United States (Taste buds and Molecules), as well as in Hungary and in Russia. 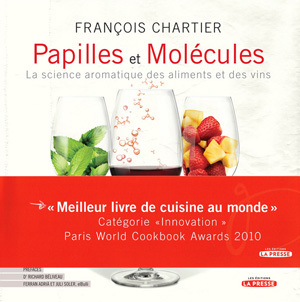 In June 2009, François Chartier released the first results of his scientific research on “molecular harmonies and sommellerie” in his book Papilles et Molécules – La science aromatique des aliments et des vins. The book was an instant hit with the Canadian public, quickly positioning itself at the top of the bestsellers list of the year. What’s the secret relationship between the strawberry and the pineapple? Mint and Sauvignon Blanc? Thyme and lamb? Saffron and yellow apples? Rosemary and Riesling? 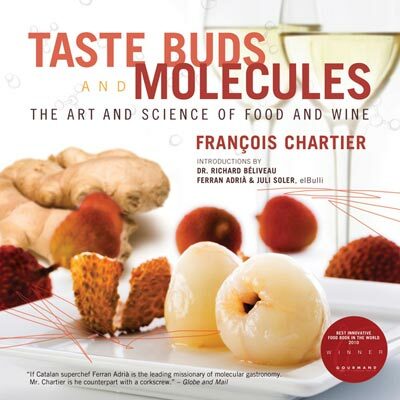 In Taste Buds and Molecules, world-renowned sommelier François Chartier reveals the results of twenty years of passionate research, introducing a revolutionary way of looking at food and wine. 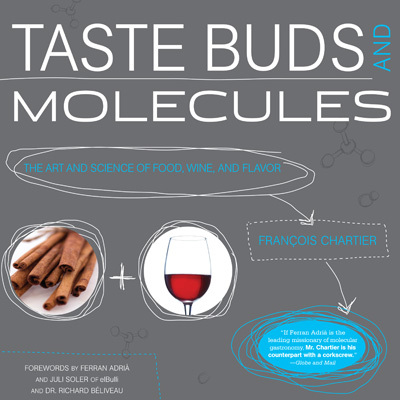 After learning the theory, it is now time to experiment with François Chartier and Stéphane Modat! With unexpected food combinations that possess complementary aromatic signatures, the 85 recipes from the book will undoubtedly surprise and delight the masses. The idea is simple: Reinventing your every day meals and transforming classic recipes, thanks to the aromatic synergy that exists between complementary foods. These 200 recipes are easily accessible, as much in price and the availability of ingredients in any grocery store, as in the disconcerting ease of execution. Not to mention the affordable price of this book!